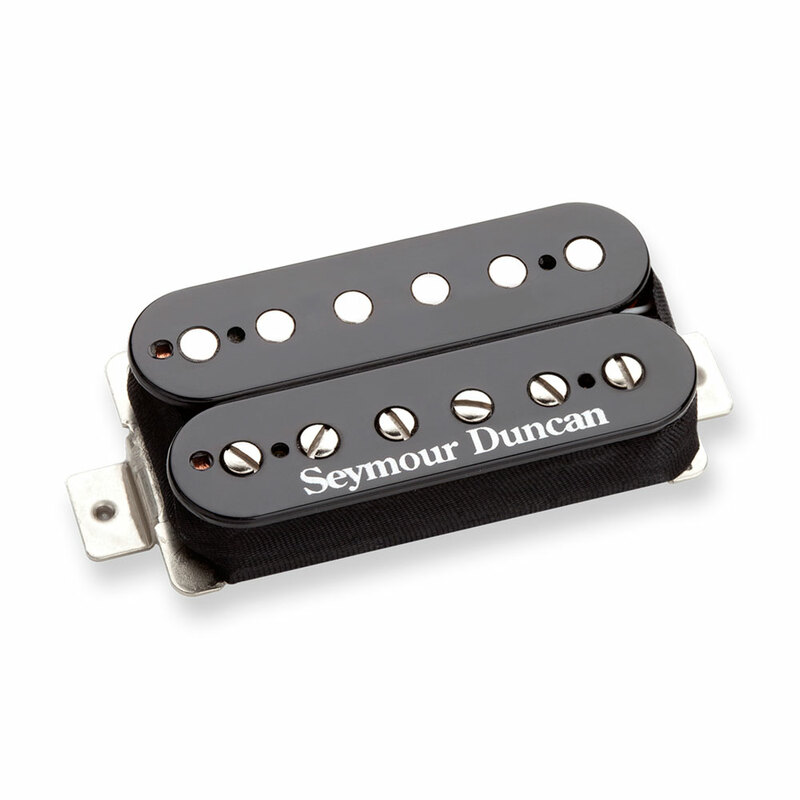 The Seymour Duncan Distortion Trembucker is a high output bridge pickup with wider spaced (or F spaced) pole pieces over the standard Distortion humbucker to take in to account the wider string spacing used on tremolos. Using a large ceramic magnet and hot coil windings to deliver full-bodied rock and metal tones with powerful upper mids for extra cut and grind. It’s great for hard-hitting, crunchy rhythms and the lead tones scream with wild harmonics, it also remains tight with low tunings. The matching Duncan Distortion neck pickup is the perfect partner for complementary lead and rhythm tones, or pair it with a Jazz neck model for a wider range of sounds.